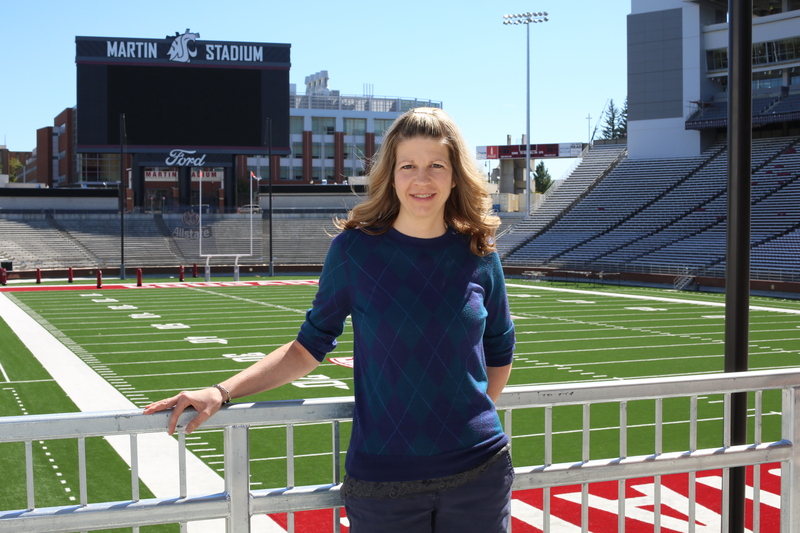 Kim Holmstrom came to WSU in the Fall of 2011 after several years practicing as an athletic trainer in a variety of settings. Most recently she was serving in an adminstrative role with Rockwood Orthopedics, where her job included surgery coordination, patient communication, and pre-surgical screening. Prior to that she worked in other therapy settings. Her unique background has well prepared her to teach the Exercise and Medical Conditions for special populations. In addition, she co-coordinates the Bruya-Wood Undergraduate Research Conference held each fall and spring. This conference began in 1991 and has grown to include over 130 undergraduate poster presenters. Kim coordinates the Strength and Conditioning minor, which is respected for being a program that brings practical experience into the undergraduate education.